Quick answer: A good gas can should allow anyone to easily pour 5 gallons of gas without worrying about spilling or making a mess. They need to be simple, flow quickly and be very durable. The best CARB compliant plastic gas can we found is the No Spill 5 gallon gas can. If you need the best mounted gas can, try the AULLY PARK Poly Gas Can and AULLY PARK Pack Mount. 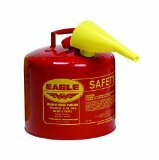 For the best metal gas cans, we suggest the classic Eagle UI-50-FS 5 Gallon Gas Can. 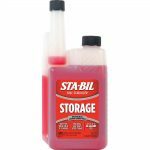 When storing your gasoline for longer than 30 days (fuel begins to degrade after this) then we strongly recommend mixing your gas with a fuel stabilizer to prevent oxidization and gum build-up for up to 24 months. Remember to store your gas cans safely! You’ve may heard of the term CARB compliant before. CARB stands for the California Air Resources Board, and in 2009 the Federal Government mandated that all new portable fuel containers must meet new regulations to reduce fuel spillage and improve safety. Any traditional gas cans and containers you may own are fine, only new containers being sold must be CARB compliant. One of the new requirements includes automatic closing nozzles. Some individuals have been unhappy with the new regulations stating that fuel containers are now harder to use, with many ironically spilling more gasoline than before the regulations. However, there are great CARB compliant gas cans out there. The problem is most people end up buying cheap gas cans with poorly made nozzles or designs. We’ve taken the time to go through and find the best cans that you won’t be complaining about. As a side note, you can technically buy a non-CARB compliant replacement spout that will fit almost all (Rubbermaid, Gott, Essence, Wedco, Briggs, Scepter, Eagle, and Blitz) fuel cans, it’s simply labelled as a water spout. We don’t advise doing this, and suggest you purchase a high quality fuel can that will last. Most of the marine industry has now transitioned over to plastic gas cans and fuel containers rather than metal cans. The reason being is that during a fire, metal fuel cans can potentially explode while plastic fuel cans will simply melt. 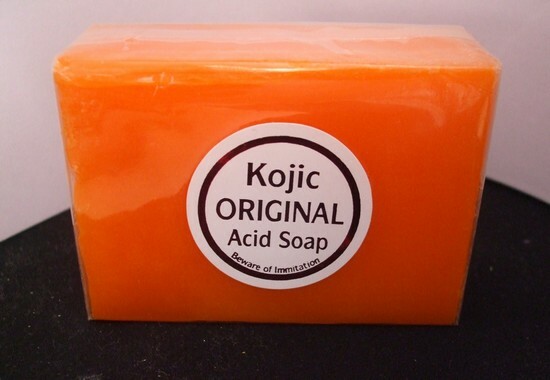 Plastic also doesn’t rust, can withstand more abuse, and is better for short term storage. If you’re storing gas for longer than a month, we suggest purchasing a metal gas can because fuel can leach into plastic cans over long periods of time. Plastic cans will also expand and contract with temperature changes and don’t usually stack in storage very well (depends how much you’re storing). 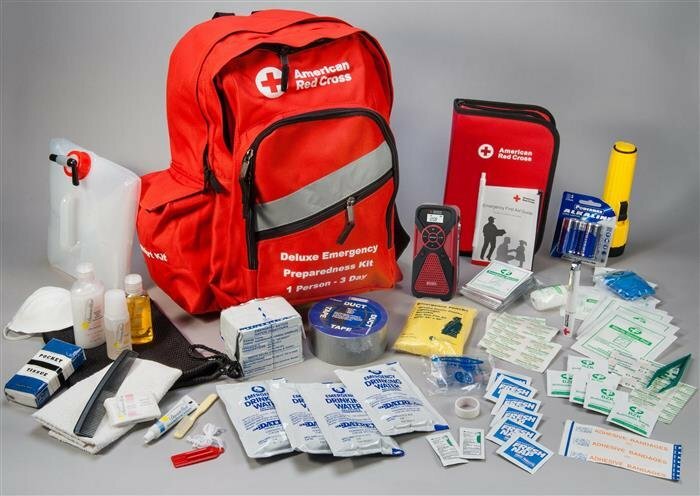 It really comes down to what type of scenario and environment you’ll need the gas can for. The undisputed best CARB compliant plastic gas can is the No Spill 5 gallon gas can. This gas can is very sturdy and thoughtfully designed. The handles on the top and side make lifting and positioning the gas can quite easy. However, the valve and nozzle are what you are really paying for here. 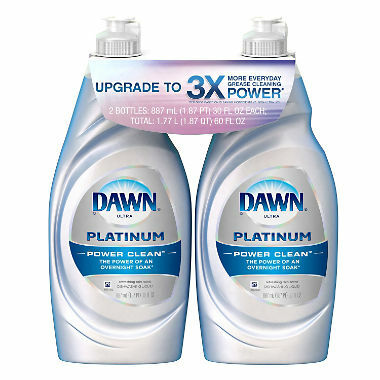 Fuel doesn’t flow too fast or too slow, dispensing 5 gallons in about 2 minutes and 55 seconds. Simply hold the button in and it pours smoothly. In fact, the design of this nozzle allows you to fill the tank until it reaches the nozzle and it stops dispensing fuel immediately. You don’t have to worry about overfilling. No Spill is true to its brand name and is quite spill proof. We also liked that the sides of this can are flat, so you can place it on its side on top of a generator to easily dispense gas without it falling over. Our biggest gripe is that the dispensing button can be a bit stiff and your hand can get tired after a while of holding it in. Mind you, it is designed to be child proof. Overall, this is the top selling plastic gas can on Amazon with many great reviews, and puts other plastic gas cans to shame. 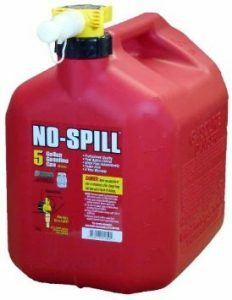 The No Spill gas cans also come in 2.5 gallons and 1.5 gallon sizes. We do wish that it came with the No Spill spout extension. This extension fits very snugly and works like it should. It’s an 8″ tube but once its fitted onto the gas can nozzle it ends up being about 6″. Plus the automatic stop function still works great. 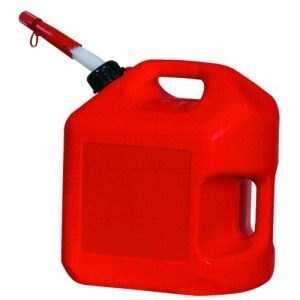 If you are looking for something a little bit cheaper, we recommend the Midwest Gas Can 5 Gallon 4 pack. It is CARB compliant and meets EPA requirements for fuel containers. Two handles make it easy to handle and to pour gas. The main problem with this gas can is a very poor spout and nozzle design. Unless you want to spill gas everywhere, we strongly recommend you replace the spout with the EZ-Pour Spout to fix glaring nozzle design problems on an otherwise great gas can. If you don’t want to deal with replacing the nozzle, then do not buy this gas can. If you’re interested in a heavy duty plastic gas can to mount in your vehicle or motorcycle, then we highly recommend the AULLY PARK Poly Gas Can. It is lightweight with a seamless barrel body and thick gauge. The thick plastic can take a real beating and you don’t have to worry if you drop it. Lots of handles to grip and pour from any angle and a built-in spout with a flexible hose to easily fill up tanks. For mounting, you must buy the AULLY PARK Pack Mount which will fit their 0.75 and 1.3 gallon gas cans. This mount works really well for attaching to your motorcycle and provides quick and easy storage. The mount installs easily with screws. 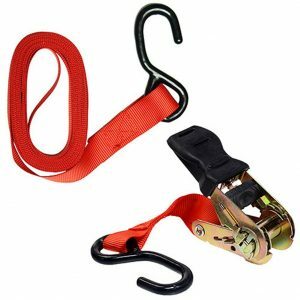 If you need to bring along larger gas cans at 2.6, 5 or 8 gallons, take a look at the AULLY PARK Heavy Duty Ratchet Tie Down. This is an industrial grade ratchet strap set to keep everything from moving in the back of your truck. It has a 1500 pound breaking strength and 500 pound load capacity to secure lots of cargo. Rubber coated ‘S’ hooks also help prevent your cargo form being damaged. Works fantastic not just for gas cans but for anything heavy duty such as surfboards, kayaks, camping equipment, appliances and anything else that needs to be tight and secure for transport. If you are specifically looking for a non-CARB compliant gas can, you can still legally purchase the VP Racing Fuels 3512 Red Motorsport Jug. This 5 gallon gas can dispense very quickly, with all 5 gallons going in about 1 minute and 45 seconds. Its designed for quickly fueling racing vehicles and has a vent. This fuel jug dispenses the quickest of all the gas cans largely because it is not CARB compliant. But this was also why it was actually quite easy to spill fuel and you’ll probably end up spilling fuel at one point or another too. If you tilt it too much the gas will come out of the vent, so you have to be careful. It’s also taller than most gas cans and more suited for fueling large equipment quickly. Some reviews also noted the fuel cap leaking a bit after you finishing pouring. It also does not come with a hose or nozzle, but you can separately purchase a VP Racing Filler Hose or even get the 2 pack VP Racing Fuel Jugs with 2 Filler Hoses. When deciding on a metal gas can, you can pick between a Type I or Type II gas can. 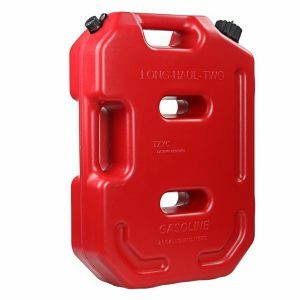 Type I gas cans have a single opening for both pouring and filling and usually come with a detachable funnel. Type II gas cans have two openings — one for pouring and one for filling. 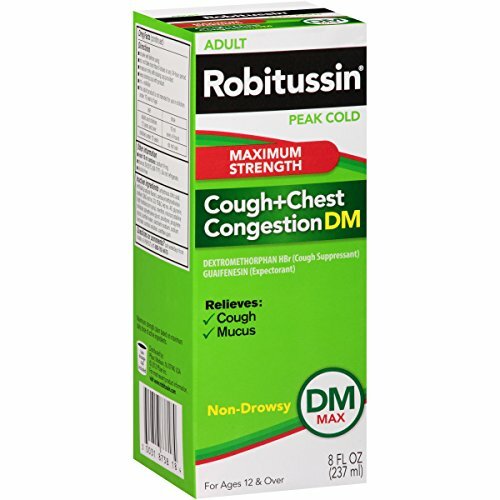 The second opening acts as a vent while dispensing. Generally Type II gas cans also come with a separate steel spout for pouring. 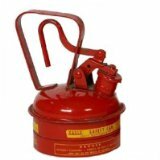 The best and most reliable metal gas can we found is the Eagle UI-50-FS 5 Gallon Gas Can. This is a Type I gas can that comes with a detachable funnel and is near corrosion proof. They have no-weld seamless bottoms drawn from one piece of steel and are the safest gas can you can buy. We’ve never spilled a drop using it, the funnel is simple and works efficiently and the gas can is easy to transport and use. Metal fuel cans also have a steel mesh filter about 2″ deep that lets you place a gas pump nozzle in it to hold it in spot. It will automatically stop pumping once it fills the can to near capacity. 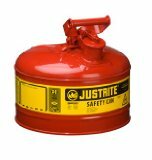 Being that there is wide selection of high quality gas cans in various sizes, we’ve compiled a list below of the best metal gas cans from Eagle and Justrite. Simply decide on the size and whether you prefer one or two openings for pouring and filling. Both companies also use galvanized steel in their gas cans which resists corrosion and rusting due to a protective zinc coating. 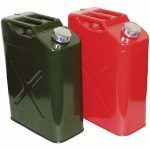 The best jerry can for the price is the Crown Automotive 11010R Jerry Gas Can. It is half the price of an authentic NATO jerry can but is still solidly built with galvanized steel. It has electro-welded seams due to welding galvanized steel together (in contrast to being seamless and built from a single piece of steel). It has great reviews, consistent quality and an excellent nozzle and spout. It comes with 2 spouts — a longer flexible spout and a short self-closing spout. If you want an authentic NATO jerry can, then you’ll want the more expensive Wavian 20L/5.28G Military Spec Jerry Fuel Can. Nothing gets better than these, but they’re more than double the price of other jerry cans. It does come with a spare gasket and a non-CARB compliant NATO gas can spout for quick pouring. When working around different types of fuels, its important to keep them separate and contained properly. This is where color coding comes in. 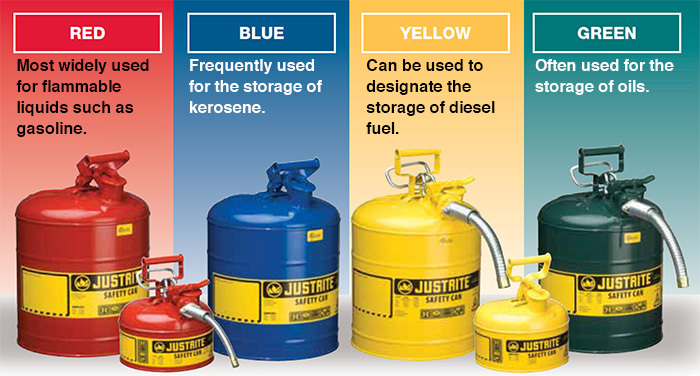 Gasoline (flammable) is stored in red containers, kerosene in blue, diesel in yellow, and oil (combustible) in green. Having different colors allows anyone to universally and quickly identify the contents for safe use and storage. Any type of fuel can be very dangerous when improperly stored or transported. First and foremost, any type of fuel you have should never be stored within the same compartment with people. Good ventilation is important because fumes can be dangerous. Within the closed confines of a passenger compartment, fumes and vapor can build up and possibly be ignited by a spark. Instead, store your fuel cans upright in your trunk or other area like the back of a pickup truck. 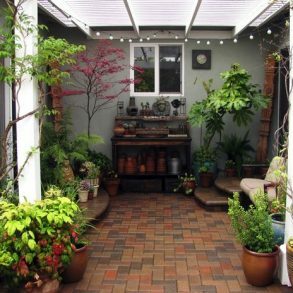 At home, don’t store it in your house but in an attached garage or somewhere else with ventilation, shade, and a consistent cool temperature. Wherever you put them, make sure they are securely stored or tied down . If they’re exposed to sunlight, put a tarp or some sort of cover over the containers to limit their exposure. 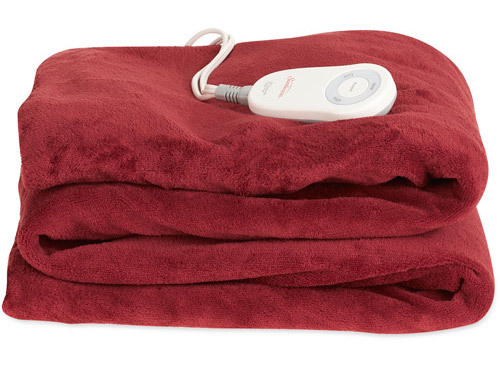 We want to avoid direct sunlight and any heat sources so keep them away from anything warm. Remember, gas is volatile. If you’re planning to store your fuel for a long period of time, store your fuel container at about 95% capacity. As temperatures fluctuate, everything will expand and contract. Having extra room is a good precaution against any pressure build up. Gasoline also begins to oxidize and degrade after about 30 days from being pumped. It is a good idea to replace your fuel periodically or use a fuel additive to stabilize it if you are going to store your fuel for an extended period of time. 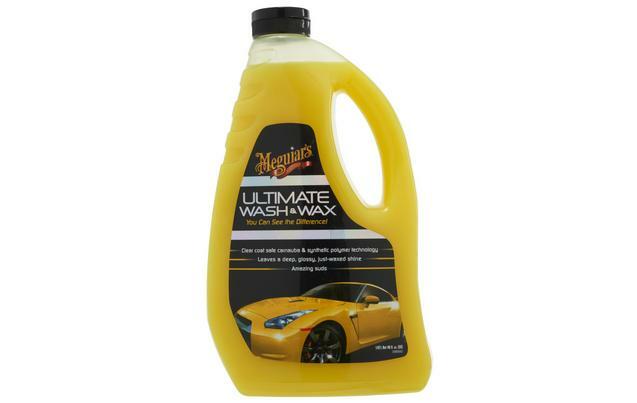 This should keep your fuel viable for up to 24 months and is good for all gasoline and Ethanol blends. A fuel additive essentially prevents gums, solids and varnish from building up by preventing oxidation of the gasoline. This is whats often called ‘stale fuel’ and will appear sludgy, can clog your fuel system and be difficult to ignite. Simply add a small amount of fuel stabilizer to each fresh can of fuel (do not use in gasoline that has already gone bad) and mix thoroughly. You also may wonder, why not just use a water can and store fuel in it? Do not do this. 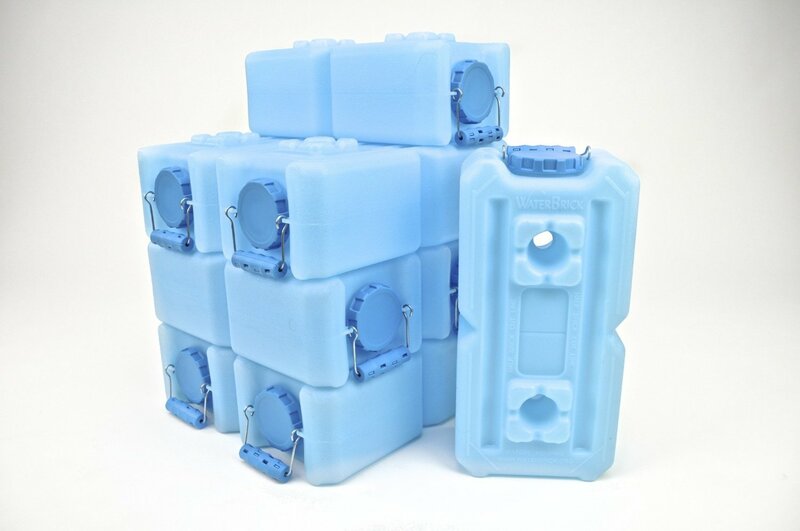 Water containers have a pressure seal and do not have a gasket. It will leak. Pressure will build up over time that water cans are not designed to withstand. Plus it’s illegal. Fuel containers are color coded for safety and identification reasons and have preventative measures for children.